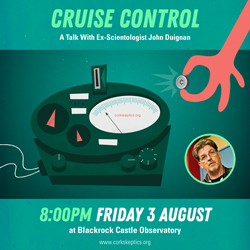 From November 2010, we will hold monthly social gatherings at Blackrock Castle Observatory. These meetings, or Skeptics In The Castle, will usually feature a talk or presentation from an invited guest speaker, and/or a more informal chat or activity between the group itself. Categories: General, Welcome | Tags: welcome | Permalink.